First of all, what are rolling time zones? When you have a rolling time zones feature on your event, your sessions start at the same time across different time zones. This means that if a session begins at 10 AM in New York, it will start at 10 AM in Dubai as well. Everywhere across the world, it will begin at 10 AM in each person’s time zone. Is this something that’s important? Are your attendees international/across several time zones? Do you have enough attendees in several time zones that would be at awkward times? If you have a lot of attendees in the US, you can pretty safely just run your event at a time that’s fairly courteous for all US time zones. For example, starting at 8 AM in PST and 12 PM in EST. Most people can attend during these times, so you don’t have to worry about having the event roll through time zones. However, if you have about half of your attendees in the US, a quarter in the UK/Western Europe, and the final quarter in Asia, you might want to seriously consider rolling time zones. The Eastern countries often wind up having to attend events that begin at 9 PM, 10 PM, or even into the wee hours of the morning. While those times are plenty courteous for the US and some UK attendees, you might want to consider that last quarter of your audience who doesn’t appreciate that oversight. Don’t want to do rolling time zones, but still want the whole world to be able to see your sessions at their convenience? You can host your sessions at scheduled times, then offer them On Demand after they broadcast. You can also run your event similar to a class, and make the whole thing On Demand. As technology advances and events transition smoothly from in-person to online, one thing remains certain – there’s just something our presenters enjoy about giving their sessions live. Online events have a great way to simulate this experience with simulated-live presentations. These are recorded ahead of time at the presenter’s leisure at their home or office with a neutral background, then scheduled for the event. This is a great option because it allows the speaker to interact with the audience in real-time, answering their questions and engaging in deeper discussion with them. However, many speakers like to present their session via a live stream of some sort – YouTube, Google Hangout, etc. This gives them the same feeling as speaking at an in-person conference, allowing them to end the session with about fifteen minutes for a Q&A. With this in mind, how do we make sure that both of these kinds of presentations are successful and streamlined? For both live and pre-recorded sessions, you need to be in frequent communication with your presenters. For both, they will need similar guidelines. Dress-code, a neutral background (preferably without a window behind them), a quiet surrounding – and of course they need to have their slide deck ready. One tip that we’ve found very successful to make both types of sessions look streamlined is to have the same theme on the slide decks for all presentations. It doesn’t have to be fancy – in fact, it shouldn’t distract from the speaker’s presentation. A simple grey background, a teal ombré, or even black would be fine – and don’t forget the event logo! You also want to leave a space for the presenter’s webcam on the slide deck. A square in the lower or upper right corner is typical. If you prepare the slide deck theme for your presenters, you can ensure a great-looking session. For pre-recorded, you’ll want to make sure that the presenter knows the due date for sending you the recording. This way, they will have lots of time to prepare their slide deck, set aside an hour or two to do the recording, and polish it if necessary. Most speakers are used to live presentations; this will likely go pretty smoothly. You’ll want to take tip 1 into account here, though – keep in contact with your speaker to make sure they know the date is coming up and ask if they have any questions. For live streamed sessions, you’ll want to schedule a walk-through with the presenter to make sure they are comfortable with the live stream service you have chosen. This typically only takes about ten minutes as most live stream services are made with us in mind. You should schedule this for a few days before the event so that the how-to is fresh in everyone’s minds. As long as your speaker has all of the information that they need and you know that they are prepared, you will both feel less pressure on the day of the event. If you and they are less stressed, the event will be a breeze! Depending on the online event platform that you’ve chosen, you’ll have a variety of resources at your fingertips. With vConferenceOnline, we provide a full library of how-to resources that guide you step-by-step through creating and setting up your event. We also provide a project manager who will be available by phone and email leading up to and during your event to make sure that everything goes smoothly for you and your event is a hit. Your job is to bring the ideas and the materials to the platform – our job is to make sure that your event is fantastic and your audience looks forward to the next one! With that in mind, ask any questions you have for your event. We’ll be happy to help out and even give you ideas for how to make it even more successful. With nearly a decade of online events under our belt, we have lots of data and a bevy of analytics in our pockets. If you keep these three tips in mind, you’re sure to make both live and simulated live sessions look fantastic to your audience; your speakers and audience will have a great time discussing the topics, too! And always, if you have any questions, feel free to email us! 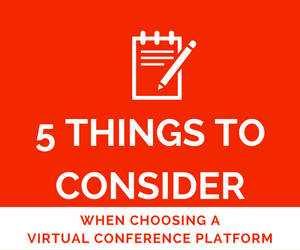 Continuing with the theme of “biggest concerns about online events,” another worry I hear from clients is that hosting virtual events just seem so complicated. This is understandable when you’re approaching a medium you haven’t utilized before or even changing hosting platforms. There is a bit of a learning curve usually when starting a new type of marketing strategy, but a lot of virtual event platforms have one or three great solutions to that for you. Typically this is a PDF or document that answers most of the questions you may have about hosting an event with that particular platform. Many online events are self-service, which means that they are simplified as much as possible. As someone who’s just purchased an online event, you’re not expected to know how to run the show. You’re expected to know your presenters and exhibitors, as well as to market the event, but actually putting together the event should be as simple as it can be. The success of your event is the paramount concern for the company you bought it from, so they really want to help you as much as possible. This document usually is FAQ style, with common questions addressed in step-by-step fashion to help you navigate through the platform. If it’s in PDF format, it usually has links as well, to help you to move through the process in a easy and painless manner. For a lot of platforms, a project manager is an add-on. This is a person who is assigned to your event(s) and who is available for you to call, email, contact however you see fit. 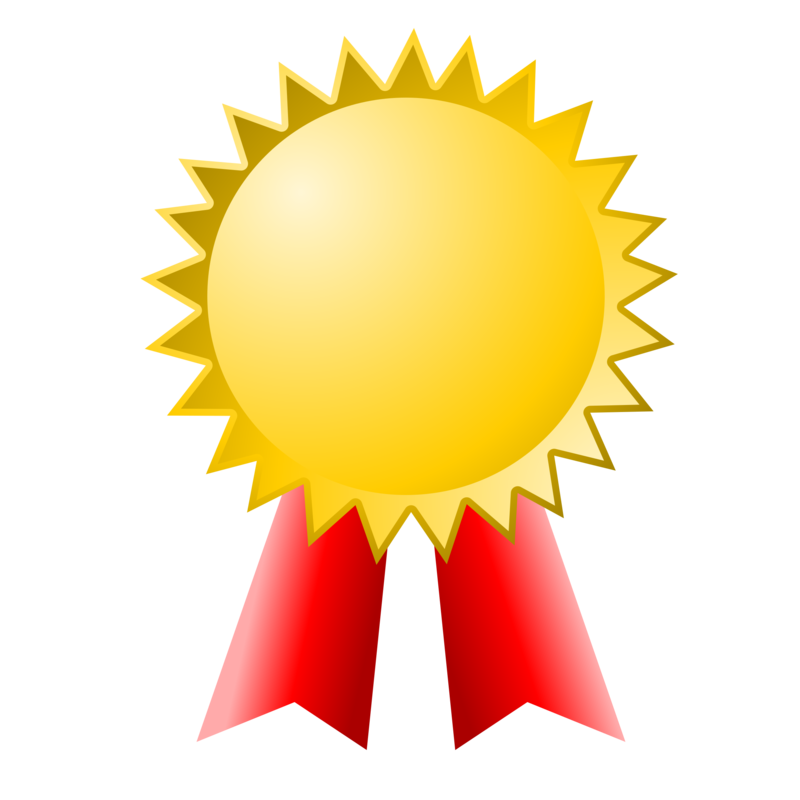 This person will have helped out with a lot of events before and has been trained extensively on the platform. Not only can they answer your questions, but often they will actually either help you set up the event or take most of it off your hands. For instance, with vConferenceOnline, the project manager can actually set up the entire event for you. You will send them abstracts for sessions, information about speakers, even contact information for speakers or exhibitors. They can then contact them directly for all of the information and set everything up for you. One great thing about project managers is that they have access to information about previous events. This means statistics and analytics about similar events to your own, allowing you to find out things like: how many sessions will be best? How long should your sessions be? How do you encourage attendees to speak to the exhibitors? For platforms who don’t have project managers, often they will offer live chat or email support to help you out with your event. Similar to the project manager, this will be a team of customer service representatives who are trained on the platform and know the answers to most, if not all, of your questions. If they don’t know the answer, they have access to project managers who do have the answers. As with the project manager, this option is typically an add-on for other platforms, not included with the purchase of the event itself. However, the knowledge and experience you can access is well worth it for those who aren’t comfortable with the platform yet! These three options are usually available on all platforms in some shape or form. The best practices guides are usually included with any event, while the project manager and the live support are typically add-ons. These give you three ways to access the platform’s expertise and experience!